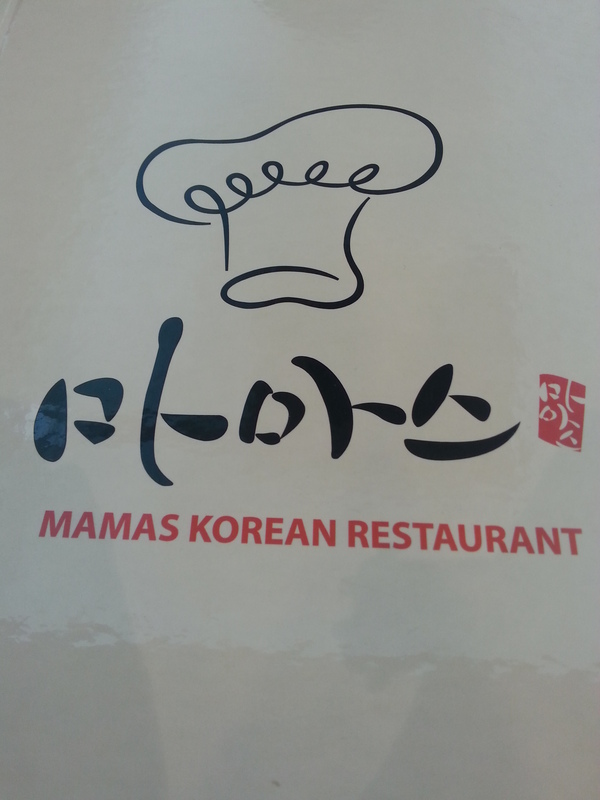 I went together with my mom and my close friend’s family to a nearby Korean restaurant, Mamas (마마수, which is located at the Sunway Giza, Kota Damansara. The restaurant was opened a month ago. I found out through their Facebook page that Lee Kwang Soo, one of the casts from Running Man, had a meal over there during his visit in Malaysia. To get there, take a turn to the left after passing the Tokyo Village and you will see the sign of the restaurant. The restaurant is located on the first floor. 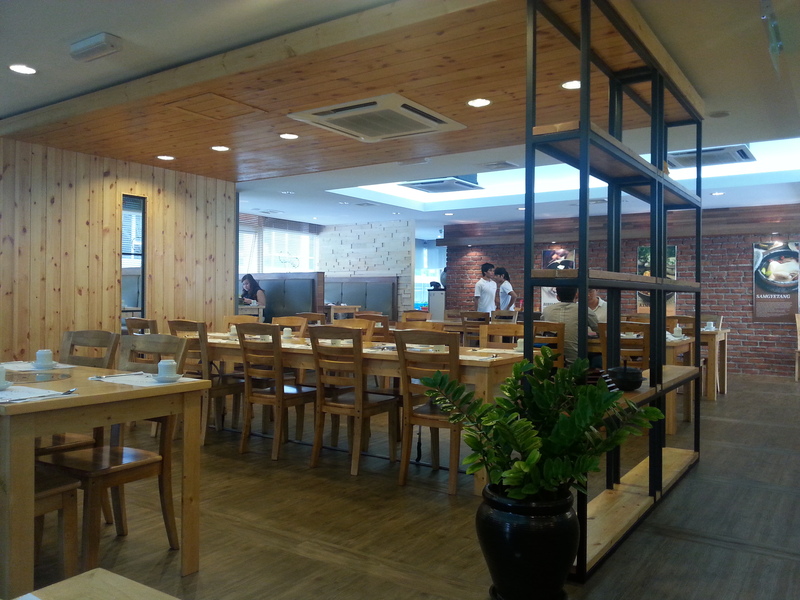 The interior of the restaurant is contemporary as the tables and chairs are neatly organized while the cooker for barbecue grill is attached to every single table. 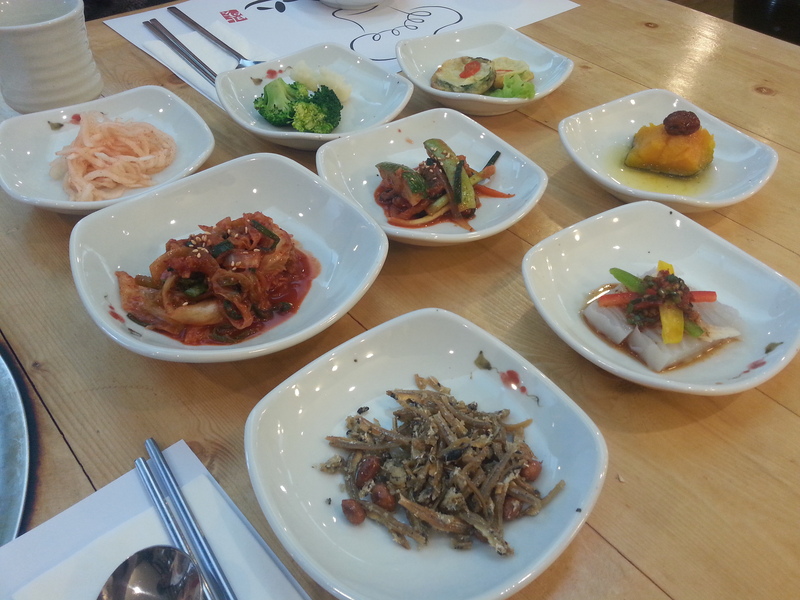 While waiting for the food that we ordered, free flow of Banchan (반찬), side dishes arrived. Each side dish are seasoned properly. A few dishes, like the kimchi, are a little bit spicy but these have good spicy kick. Most of these dishes are not only yummy but healthy, too. So, these complement well together with main dishes that we ate. You can asked for more when you still tempted to eat more of these. We had five dishes which we shared among ourselves: Haemul Pajeon (해물파전), Kimchi Jjigae (김치찌개), Bibimbap (비빔밥), Bulgogi (불고기), and Samgyeopsal (삼겹살). 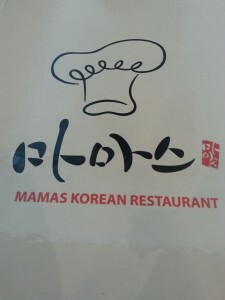 All the dishes in Mamas Korean restaurant are cooked by the lovely Korean lady chef. 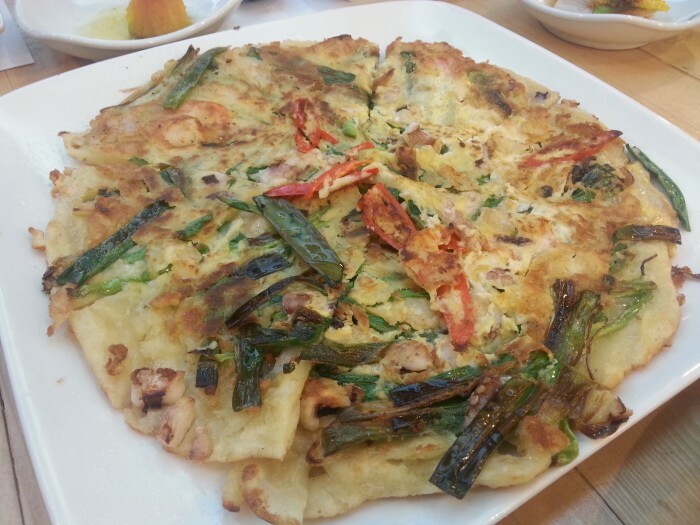 The Haemul Pajeon, seafood pancake, is not too thick and too thin. It has just the right thickness with pack full of seafood, spring onions, and a few slices of red chilli that makes our tastebuds tingle. The best part to enjoy this dish is to dip it together with the chilli soysauce to add a little spice to it. 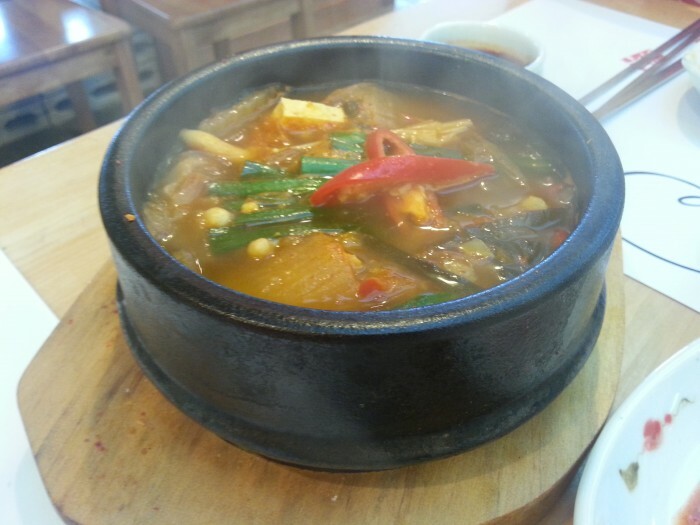 For the Kimchi Jjigae which is bubbling in the hot pot, the broth has a lot of fish sauce taste but the kimchi, tofu, and other ingredients manage to balance the taste well. The dish is a little bit spicy but light. It is not too thick and there are plenty of kimchi and tofu that made me smile with joy. 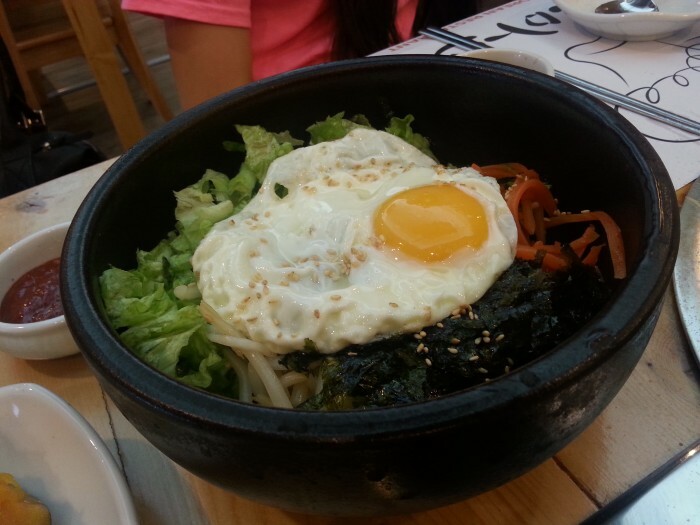 The Bibimbap has a mix of every ingredient which its individual taste just jump from one place to another in my mouth. The sauce is sweet and spicy that rounds up the whole dish like a lovely package. A healthy rice dish with an egg and plenty of slice vegetables while the fistful of taste that is light but strong. The waiter will cooked the Samgyeopsal and other ingredients on the barbecue grill before serving on the table. Served together with sauces, slice raw garlics, and lettuce. After wrapping every single food in the lettuce and putting into our mouths, there is no disappointment at all. The pork belly is meaty and not too much fat while its flavour melts in my mouth. The lettuce wrap, grilled vegetables, and fried egg with enoki mushrooms give a refreshing taste. 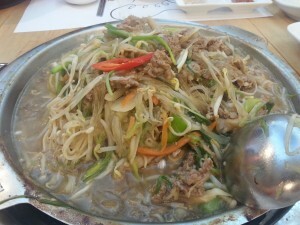 The Bulgogi is one of my favourite dishes that I love to eat at Mamas Korean restaurant. 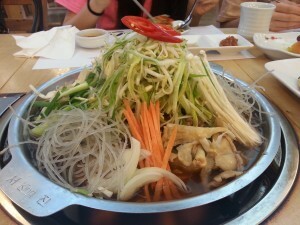 We were surprised to see such a huge portion of bulgogi. My eyes were wide open when I see a mountain full of ingredients on the grill plate. The waiter cooked the beef, sliced vegetables, and noodles on the spot while these ingredients, together with the marinated sauce, were sizzling away. After it’s cooked, we immediately dig in. The meat and gravy is slightly sweet but yummy. I was in absolute heaven while eating both beef and vegetables that has so much flavours of happiness. Another dish of flavour that melts in my mouth. It looks quite huge but we manage to finish the whole thing. It was so good that I kept eating as this dish is so addicting. If you come to this restaurant, I recommend that you should try this dish. 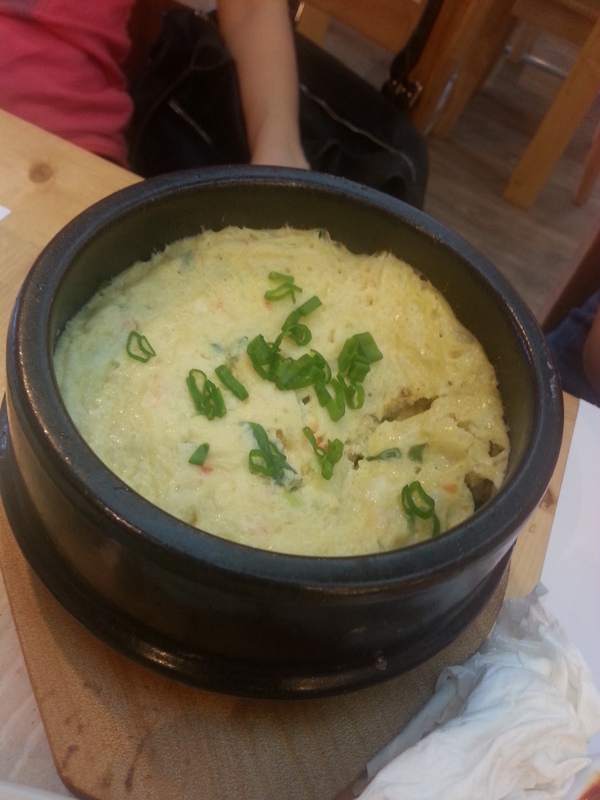 Surprisingly, we got a complimentary dish from Mamas Korean restaurant: Gaeran Jjim (계란찜), steamed egg custard. It can be a bit hot, at first, because it just came out from the kitchen. The steamed egg custard’s texture is light and silky. The strong savoury taste of egg, small bits of spring onion, and shrimp flows like a river. At the same time, it’s not too salty. The amount of seasoning to this dish is just right. It made my eyes sparkle while I was eating the warm egg custard. The dishes are delicious. I was satisfied with every single dish that has a pack full of authentic flavours and not too heavy. The portion of dishes may look big but it’s definitely enough for four to five people to fulfil your tummies with satisfaction. The service is great. The restaurant environment is nice and comfortable. Thumbs up to the Mamas. 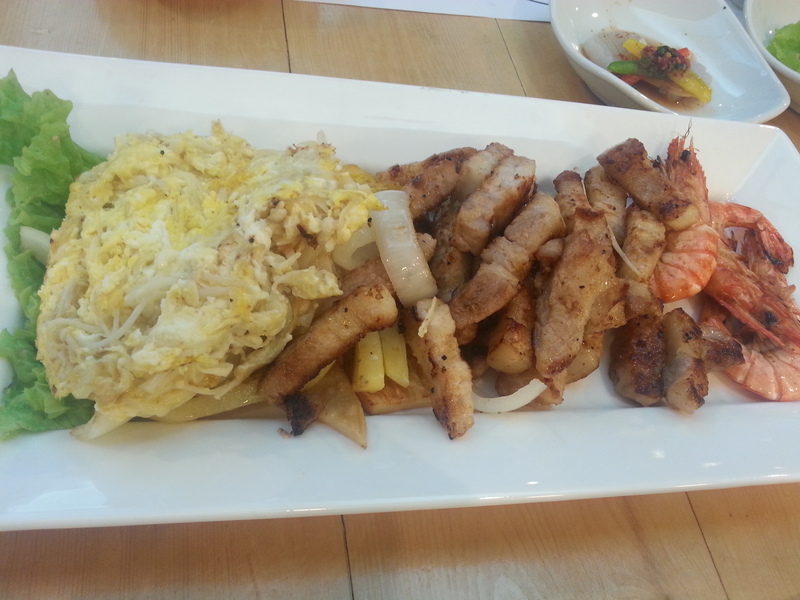 The best Korean food that I had in Malaysia so far. I will definitely come back again. Whenever you go to Korean restaurants, it is best to come together in groups when you get to share and try some of their delicious and mouthwatering dishes. Here comes the good news. Until the 13 February, there is a special promotion which is 40% discount off the price of meal. This discount is applicable from Monday to Saturday in between 12 – 5pm. There is no discount on the weekend and public holidays.